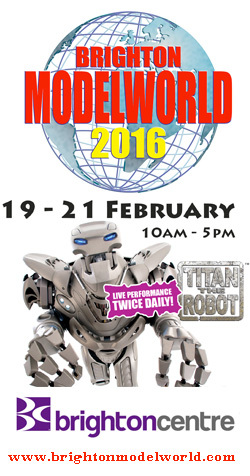 Brighton Modelworld | A great day out for kids AND grown-ups! 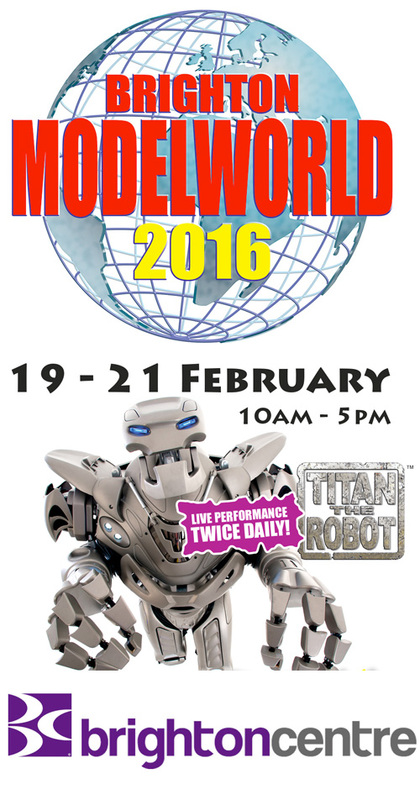 It is with great regret that Modelworld Organising Group have to announce that Modelworld 2017 will not go ahead as previously planned. As many of you will know, the show has seen declining visitor numbers for many years, something that is being repeated all over the country by Model shows, and in 2015 we dipped below the 10,000 visitor mark that we have held as one of the main indicators we have used to measure the success of the show. Modelworld Organisers Group, along with its partner, the Brighton Centre, have invested heavily in terms of time and finance to recover from this in 2016, and I am pleased to say that we were successful. In 2016 we saw over 10,500 visitors, and the general feedback from both exhibitors and visitors was good. However with this increase in attendance numbers for 2016, the event still did not reach a position of commercial viability. The published dates for the 2017 show were, as always, dictated by the availability of the Brighton Centre venue, and unfortunately this would have the adverse effect of both being outside the Half term, and clashing with the Brighton Half Marathon – two major impacting factors on visitor numbers. It was therefore, after much soul searching, the decision of the Brighton Centre management that the show has become non-viable at that Venue. Faced with this decision, Modelworld Organising Group have spent considerable time and effort exploring other venue options, both within the City, and within the wider locality (Eastbourne, Worthing etc) however trying to find a suitable and affordable venue that will allow us to maintain the attractions that make “Modelworld” unique (the truck arena, the boat pool, the live steam, the raceway) are well out of our price range without significant support from outside sources. As a result of this, we have reluctantly taken the decision that the 2017 show cannot proceed. Modelworld Organising Group would like to thank the many Exhibitors, Traders, and Visitors for their continued support over the 38 years of Brighton Modelworld, and we are very pleased to have been a part of (in our eyes) the best show in the South East. We would also take this moment to thank all the various members of the organisers of Brighton Modelworld, of which there are too many to mention by name, from its origins, through the days of the Sussex Association of Model Railway Clubs (SAMRC), Sussex Railway Modellers, to the current Team. And we cannot forget the significant support we have enjoyed from the Brighton Centre Team who have stood by the show throughout the good times and times of change, and all those who have worked hard to support this show. A heartfelt thank you goes to all. Please do not forget us, we are not disappearing completely – there is always the possibility the phoenix can rise from the ashes with a new, albeit different, show in the future. Alex Tombling, Kara Tombling, Chris English, Matt, Alison, Alan, Jane, Clive, Terry, Graham, Sean, Debbie, Jess and Nathan.